By adhering to the proper industrial waste disposal policies and procedures, you can create a safer environment on all fronts. Ethically, you’re doing things the right way because you’re taking care of the health of your workers. In terms of the environment, you’re taking the necessary measures to make sure that our planet isn’t absorbing more industrial waste. From a business standpoint, industrial waste management services can help you streamline operations and reduce costs. Whatever your motivation may be for implementing a commercial waste disposal plan, you’re sure to reap benefits across the board. Following strict RCRA guidelines, Mountain States Environmental Services, Inc. is dedicated to providing industrial waste management that is second to none. From oils and chemical solvents to adhesives, paper products, and sludges, we take care of any toxic materials in and around manufacturing facilities. It’s essential to execute precautionary measures to solve any industrial waste problems before they start or become too large. Whether your company is big or small, we have a variety of commercial waste disposal options that meet your needs. 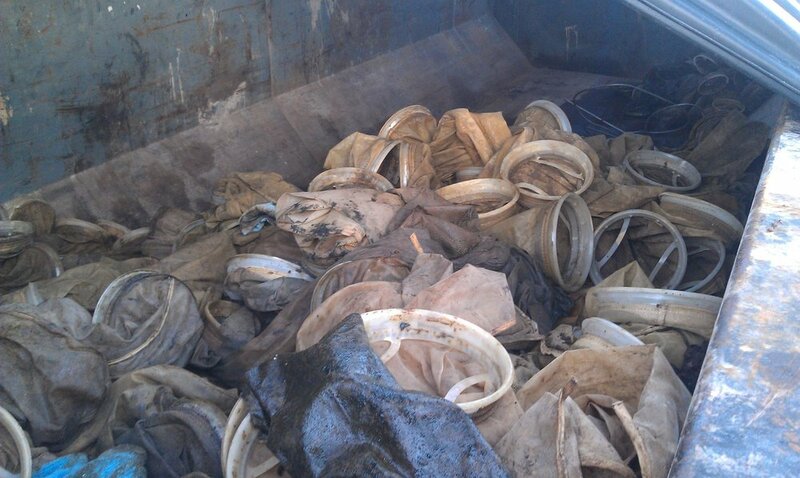 Drums, pails, cubic yard boxes, and fluorescent bulb containers are just a few of our many solutions that help you clean up and remove all traces of industrial waste. When these toxic substances are taken care of the right way at the right time, you can save yourself time, money, and a lot of headaches. Ready to take the next step and execute a successful and effective industrial waste management plan? We cover the northern mountain states, including of Montana, Wyoming, North Dakota, and South Dakota. If you’d like more information on our industrial waste disposal services, please contact us, and we can discuss the best course of action for your specific needs.